Hi Friends! Did you have a great Valentine's day? I hope so. 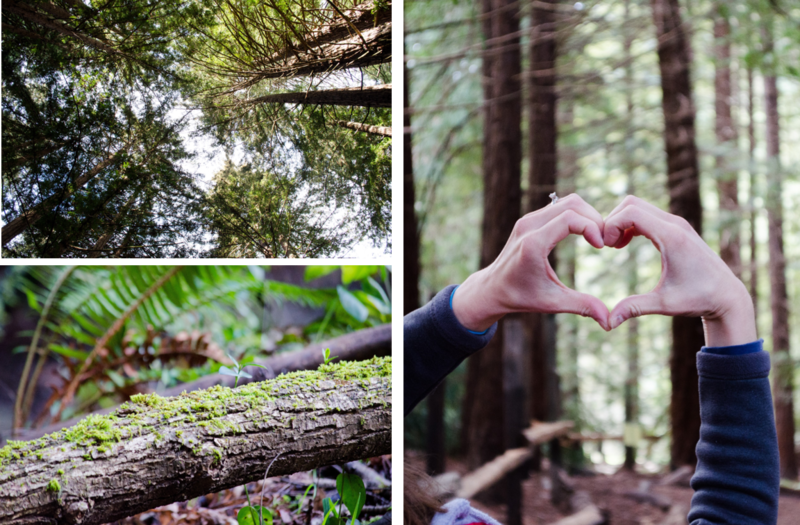 We usually try to avoid the crowds and stay in...but this year we decided to take a quick trip to the redwood trees. 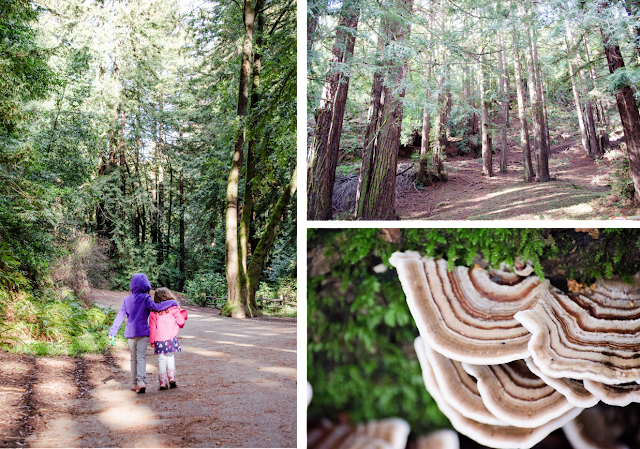 We went to Redwood Regional Park--right near Oakland...or maybe it technically is still Oakland? I'm not sure. Anyway, we'd never been there before, and it was super fun to take a little hike so close to San Francisco. I'm sure we'll be back. It's a great place to get a way for a little while, and it has great picnic tables too! I love that it wasn't totally crowded either. On a similar note, this past week I hung up the beginnings of what I hope will be a "wall of adventures" in our hallway. It's a nod towards my goal in 2016 of getting out and traveling more, and I'm really excited to add to it over time. 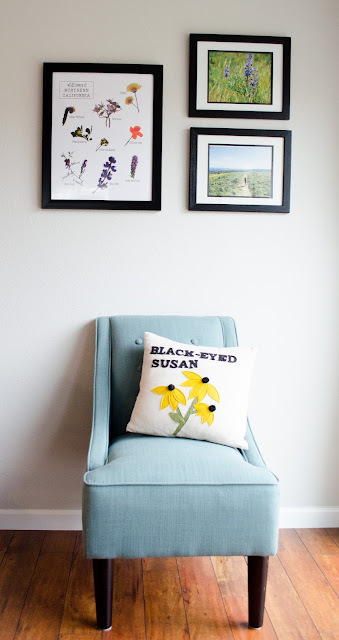 How do you do wall art in your house? 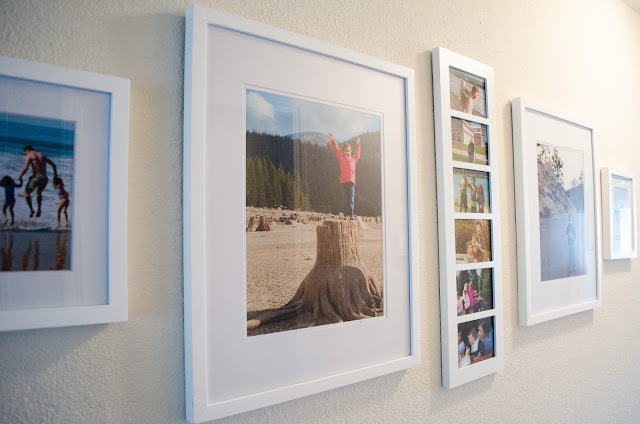 Up until I had kids, I have to say that I had very few pictures with people in them on the walls. I liked photographs of places we've been, but I didn't put up a ton of pictures of family or friends. I don't really know why that is, but that's just been the way it was. I hung art that was either 1) done by family or 2) just something that I liked. I've realized that over time my art choices have changed a lot, and I think a large portion of that has to do with having kids. I've always been fascinated by memory. I take care of my kids day in and day out, attending to their basic needs, but ultimately, they probably won't remember what we do on a daily basis. Heck, they might not remember a single thing from several years of their lives. That's kind of crazy, right? As a parent, I think there's a part of me that wants them to remember the really good stuff. It's weird to think that some of the very best moments of my life--that my kids were an integral part of--they might not remember at all. I've started to realize that a lot of the art that I hang on my walls now has a lot to do with what I want to remember from their childhood and what I want them to remember about their childhood. I'm hoping that when my kids look at my home they find it not only to be a place of comfort, but that my house also gives them a strong sense of self. I want them to remember the people who have been influential in their lives. The best moments of their childhood. I want them to remember the beautiful artwork that their grandparents and great grandparents have created for them. I want the house to be a place that encourages their creativity and celebrates their accomplishments. So yes, that's how I choose what I put on my walls. I think that the really cool thing is that the pictures don't necessarily have to be of all of us doing something cool. 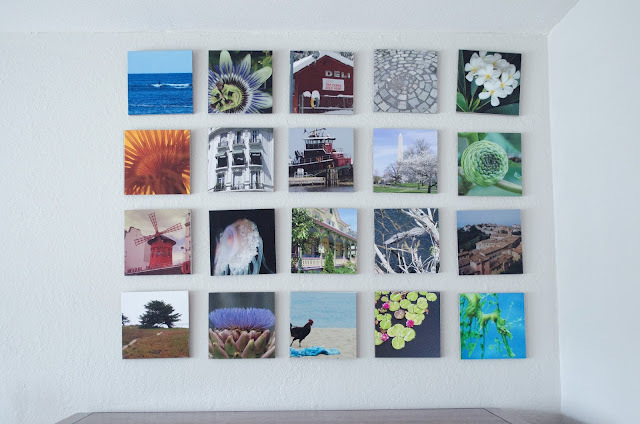 It can simply be a photo reminder of some moment in our lives, like my colorful picture collage in my bedroom. Every single picture was picked because it reminded me of some very special time in my life. Yet to the random visitor they just look like a random collection of pictures. Kind of neat, right? People always say that kids change everything. I guess I never really thought it would change what I put on my walls....but then again, there's much to parenting that I never really imagined before I had kids. How about you? 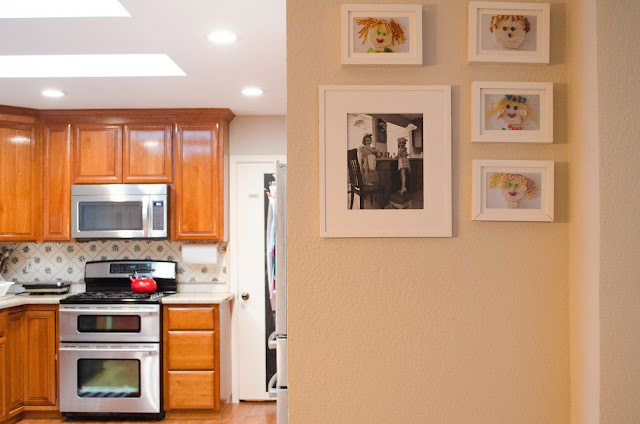 Did having kids change the way that you decorated your house, or am I just super weird? Or maybe a little bit of both! Hah!